Located off Interstate 70, this Parachute, Colorado hotel is a 10 minute drive from Battlement Mesa Golf Club. An indoor pool is available and guest rooms include a microwave and refrigerator. Free Wi-Fi is available in each room at the Holiday Inn Express Hotel & Suites Parachute. These rooms are decorated in gold tones and also provide cable TV with coffee facilities. A business center with fax and photocopying services is available at the hotel. Parachute Holiday Inn Express Hotel & Suites also offers a gym with treadmills and exercise bikes. The Colorado National Monument is 62 miles from the hotel. Guests can dine at Shommy’s located across the street. Located in Parachute, Colorado, this hotel is 50 miles from Powderhorn Ski Resort. Guests can enjoy a continental breakfast featuring Belgium waffles, orange juice and gluten free options. Free Wi-Fi is included in all rooms. A cable satellite TV with additional Spanish channels is featured in each room at Parachute Inn. Simply furnished, all rooms include a fridge and microwave. Tea and coffee-making facilities are provided. 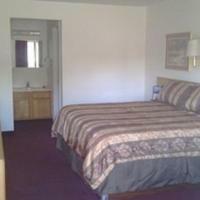 At Parachute Inn Colorado, guests have access to the on-site launderette. Fax and photocopying services are available. A variety of restaurants including EL Tapatio and VJ's Outlaw Ribs are 5 minutes’ walk from this hotel. Colorado National Monument is 45 miles away. Offering free Wi-Fi, this hotel is 20 minutes’ walk from Battlement Golf Club. All rooms feature a flat-screen TV with cable channels. Laundry facilities are available on site. Each air-conditioned room includes a fully equipped kitchen with a dishwasher, a refrigerator, a microwave, a stove top and coffee-making facilities at Candlewood Suites Parachute. An en suite bathroom with a hairdryer is also provided. Guests can enjoy a fitness centre and a business center at Parachute Candlewood Suites. BBQ facilities are offered. A convenience store is provided. Powederhorn Ski Resort is 47 miles from Candlewood Suites Parachute. Rifle Falls State Park is 45 minutes’ drive from the hotel.